Ariel has won my “Star Pupil” award for consistently good work, well done! 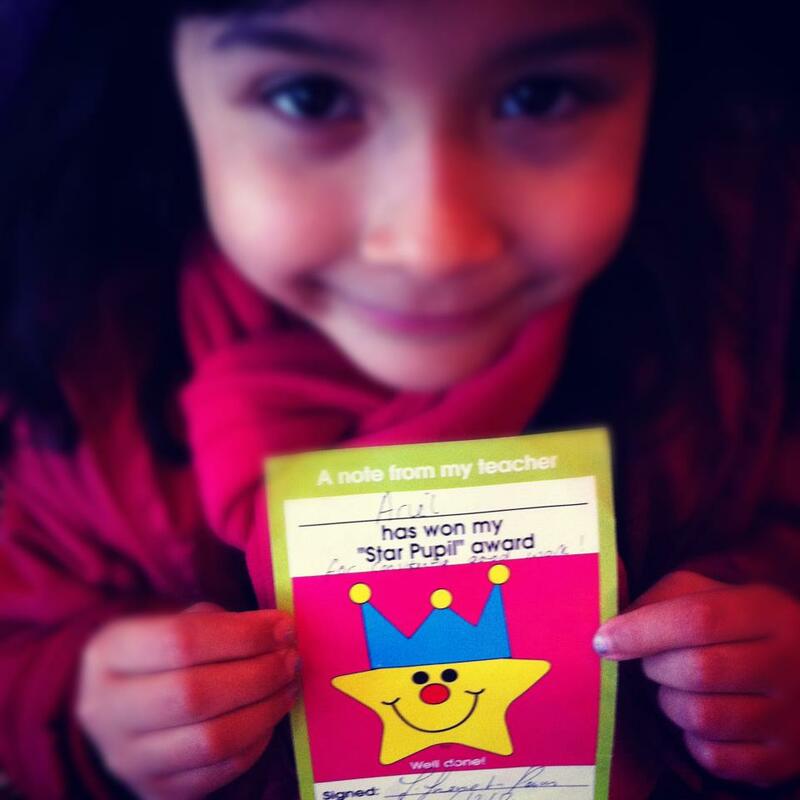 BRAVO, LITTLE MISS SUPERSTAR! Keep up the good work. My heart swells with pride for you and your devoted mom. A hug and a kiss. Esti, just saw Wu’s picture with you and Ariel. Yep, he’s TRES CUTE!